As its name suggests, this product is designed to intercept oil, grease and solids that could come from wastewater flow. The grease separator is thus used to retain and store fat particles and other residues from sinks and dishwashers. This equipment is typically used in institutions and restaurant kitchens. 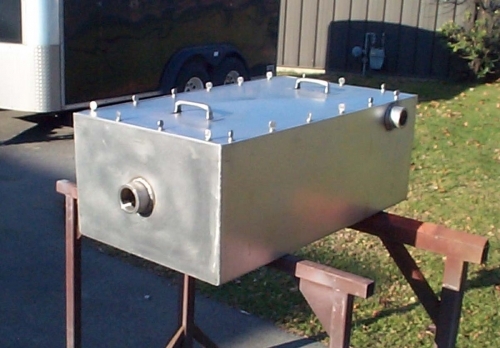 Accufab specializes in engineering and fabricating custom stainless steel grease interceptors to fit your application. Older facilities may have space limitations making a standard grease interceptor difficult to install and maintain. Accufab will design a grease trap that fits in your unique space, saving you time and money. We will work with you and your plumber to create a custom-designed grease interceptor to meet your needs.